This self-proclaimed “design-obsessed” graphic designer shows us around his small but wonderful Mission apartment. 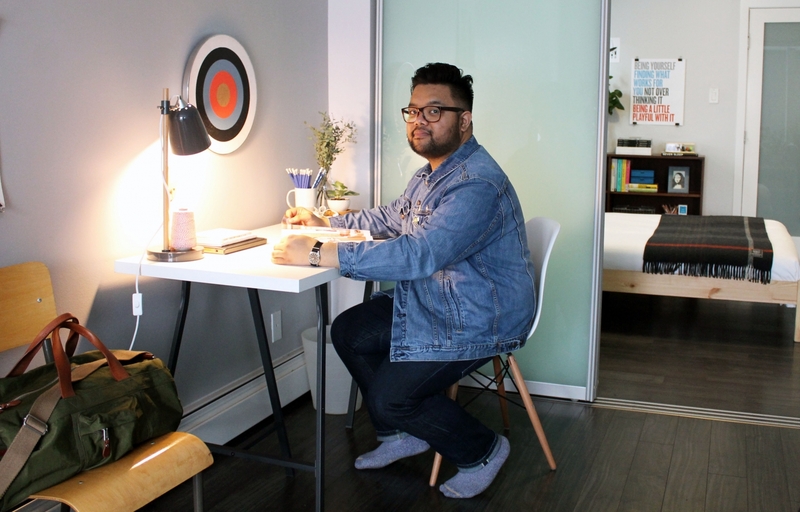 Chester Ebona, a self-proclaimed “design-obsessed” graphic designer resides in Mission in an small yet airy 1960s walk-up apartment. He chooses to surround himself with objects, furniture and art that fit his ideal of simple, classic designs that also have a utilitarian bent. The building was recently renovated from head-to-toe and the suites feature beautiful modern touches such as sliding glass doors between the living and bedroom spaces, as well as well-thought-out storage solutions. Simple, clean lines with a utilitarian sensibility. I only purchase things that are simple and classic – that I expect to own for a long period of time. I find when you buy items based on these principles, you don’t really have to “decorate,” you just let the pieces stand on their own. My home is open concept, but if I was to choose, I would pick the living room because I have a great view of the rest of the apartment from the sofa. I love reading and watching TV here. 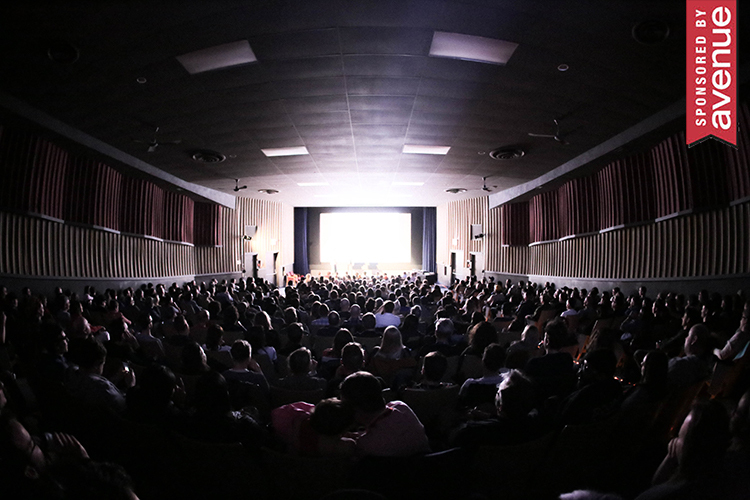 It is a great place to entertain. My mid-century-modern coffee table that I found on Kijiji for $100. I think it fits in well with my space. I often use it as a dining table as well – it is a great multi-purpose table. My desk lamp from Target. I got it for $5 and I just love it. I love looking at the combination of different materials they used. I actually shot a photo of it that I put on Instagram not that long ago and the girl who designed it found it and reached out to me. It was so cool to be able to tell her how much I love the design. Where do you find inspiration for decor? For decor I like to go to the blog Trunk. 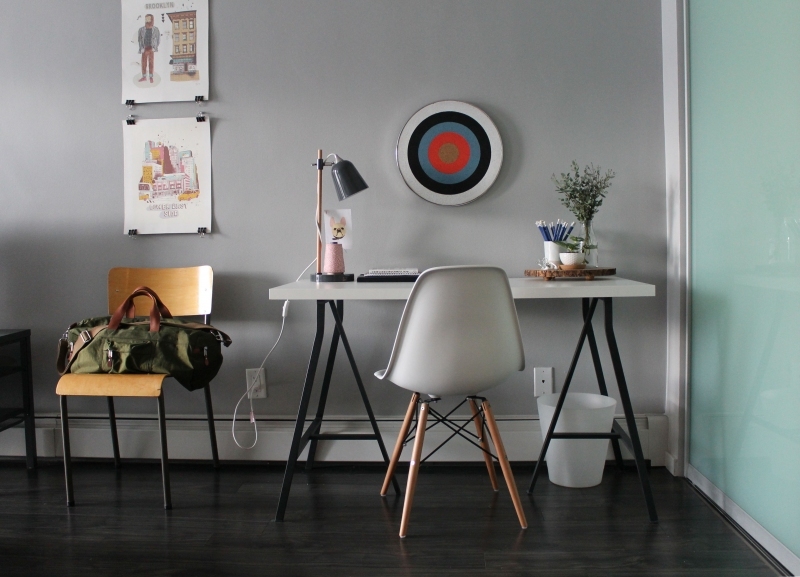 It is a furniture store in New York and their blog is great. They feature people and their cool spaces, much like these Avenue home tours. I love how close everything is. It is a two-minute walk to work, not to mention restaurants and shops all around here. I don’t need a car because everything is right here. I love going to IKEA and West Elm and I also shop a lot on Kijiji. 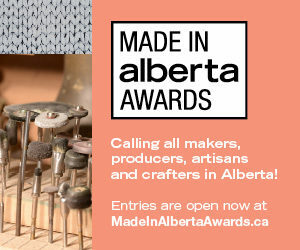 Kijiji has really opened my eye to finding really great pieces for a very affordable price. The Uncommons and plant are my other favourite shops. Did you encounter any sort of decor challenge in this space? Considering that I have very limited space, I drew up a floor plan to make sure that everything I was going to buy would fit properly and mesh well. I really only have one view so I guess that is my favourite view. It is great in the summer time to see people passing by. What would you like your next home to be? I would like to move into a loft that is slightly bigger than this place. A dining room and a bigger bathroom would be on my wish list. I would also really love brick in my space. I wouldn’t want anything too big because I like the cozy feeling I get from my current home. Chester Ebona at his Mission apartment. The lamp on his desk was a $5 steal from Target. 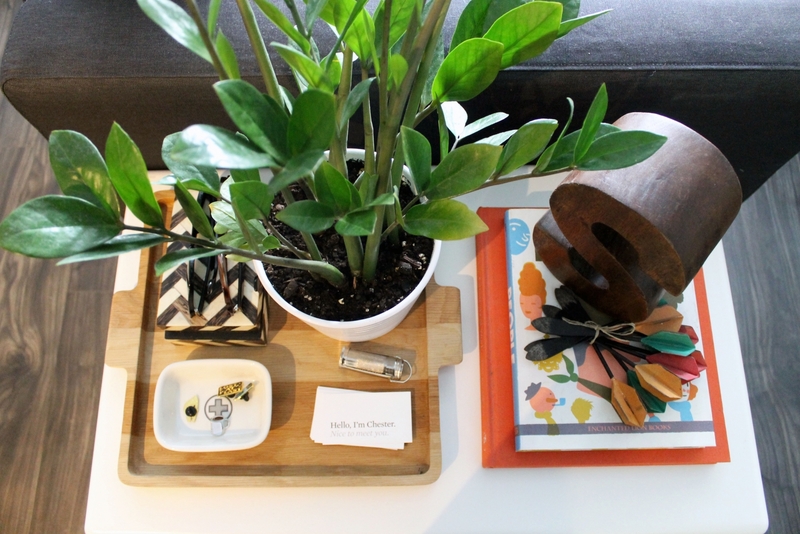 Mid-century-modern elements mix with modern design with ease, creating a look that reflects Ebona personal style. 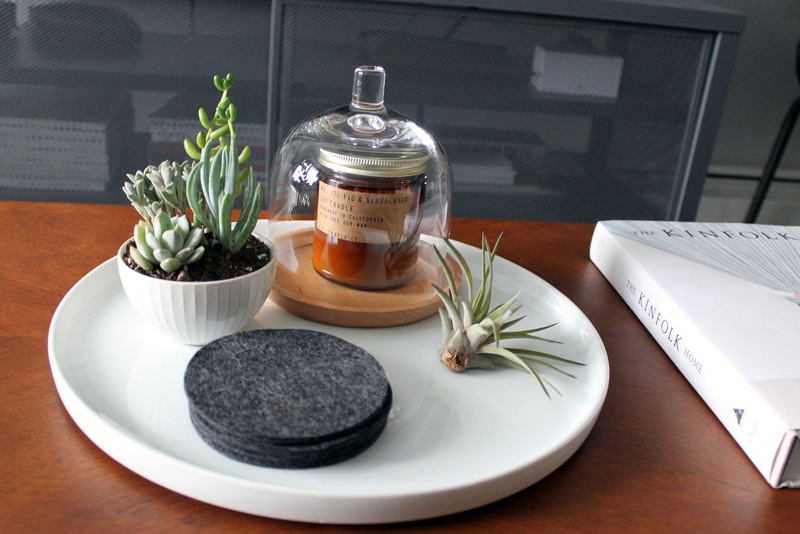 Ebona describes himself as “design obsessed,” as evidenced by his many curated tabletop vignettes. 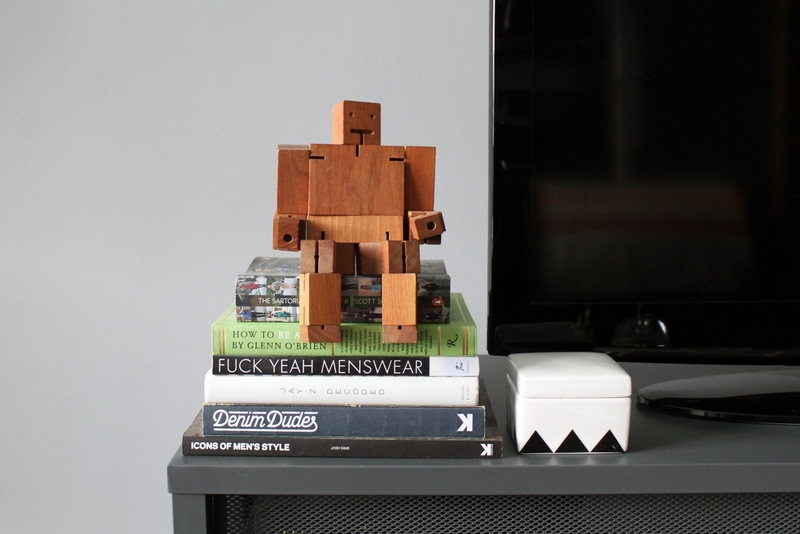 This one features books about menswear, topped with Cubebot by Areaware. A mix of colour, pattern and texture all combine to make a eye-popping table display. 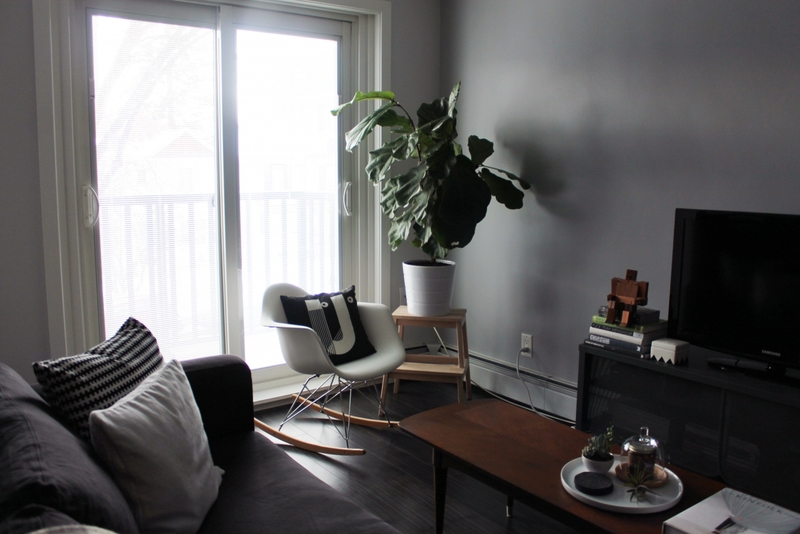 A collection of succulents and a candle found at one of his favourite Calgary stores, plant, is displayed on Ebona’s coffee table, which he found for $100 on Kijiji. Ebona’s apartment building was recently renovated from head to toe, leaving behind modern features and a slew of new storage space, which comes in handy in the home’s small footprint. 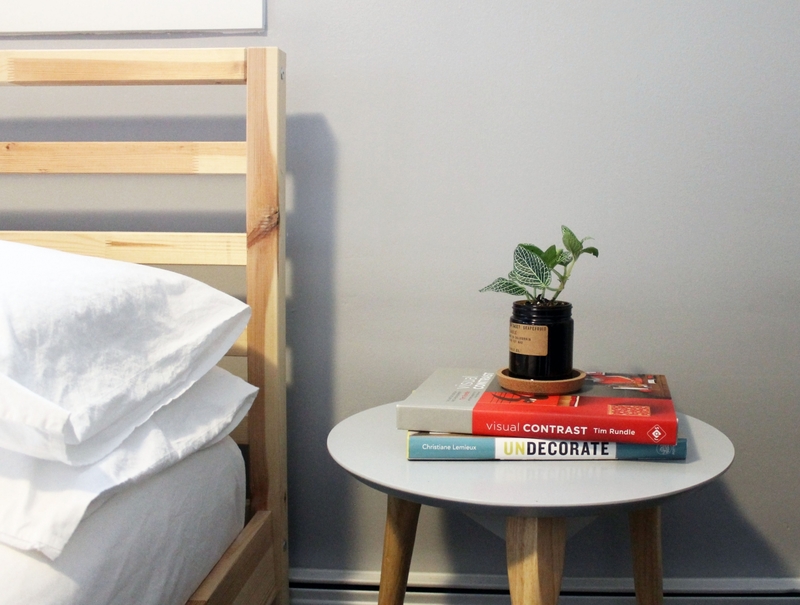 Ebona’s bedside setup proves that good design doesn’t need to be complicated. 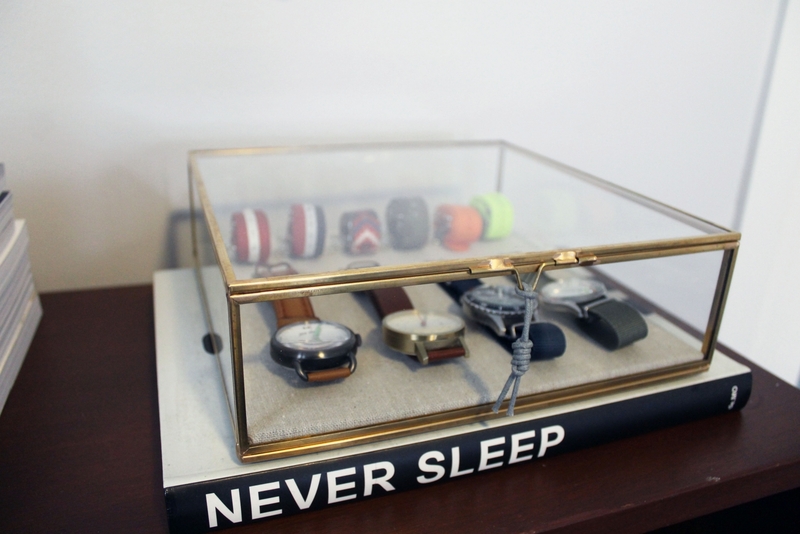 Ebona created a clever display for his watches, using a glass box atop a cleverly titled book.